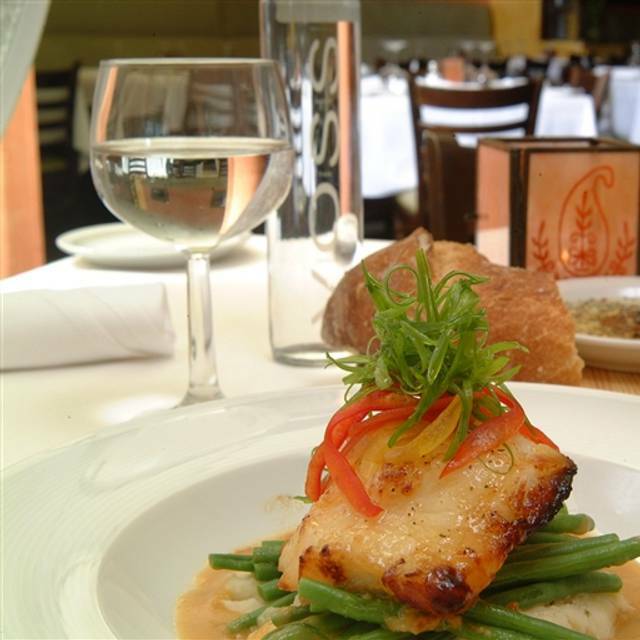 You must make reservations at least 5 minutes in advance of the time at Bistro 821. Dinner Nightly: 5:00pm - 10:00pm (Mid-April-November) Dinner Nightly: 4:30pm - 10:00pm (December-Early April) Outside dining may be requested, but cannot be reserved. Outside is first come, first served, due to weather that will require all diners to have an inside reservation. Plenty of free parking behind restaurant as well as 2- 4 level parking garages behind our parking lot. Bistro 821 is the Popular local restaurant where the locals come to dine. 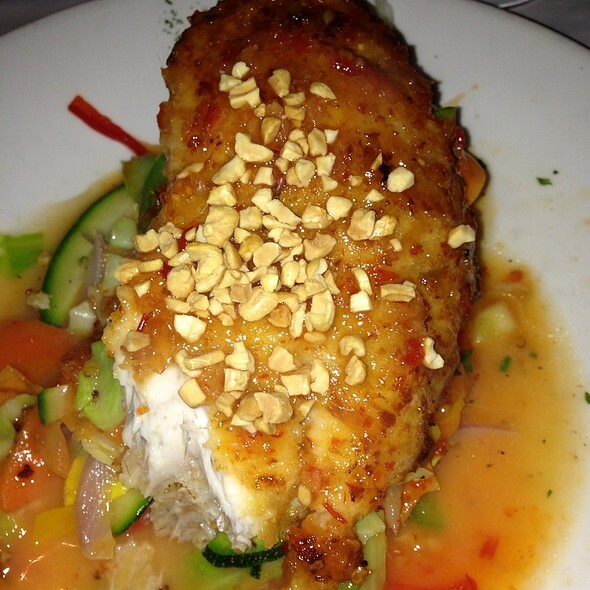 We feature an extensive menu of the best dishes from our 25 years of being on 5th Ave in Naples Florida. Large parties over 10 people must call us directly. Private Dining Room Avaialble Our service is friendly, attentive and unpretentious. We have a full liquor bar and a fantastic wine list. Bistro 821 is a restaurant you will come too again and again, a place where you will be remembered. Locally owned and operated, you will always find owners Billy Holcomb or Chef Jesse Housman ready to take care of all your needs. Great spot and food is delicious. Easy parking with valet in the back. The 2 entrees plus a bottle of wine special was great and they easily got us to the theatre for the 7:30 curtain. My husband is critically ill and I was in Naples with family to close on the sale of our property. It was very depressing. The staff at the Bistro knows how much I love their restaurant and went out of their way to make it a wonderful evening. I will be back, but will always remember that evening and how special it was. Great food ... Sea Bass was outstanding ... very friendly to families with children. Convenient valet parking in the rear. Best dinner out in awhile loved it!!! We will go back. Sat inside and the noise level was good not to loud. Our waitress Samantha was outstanding. 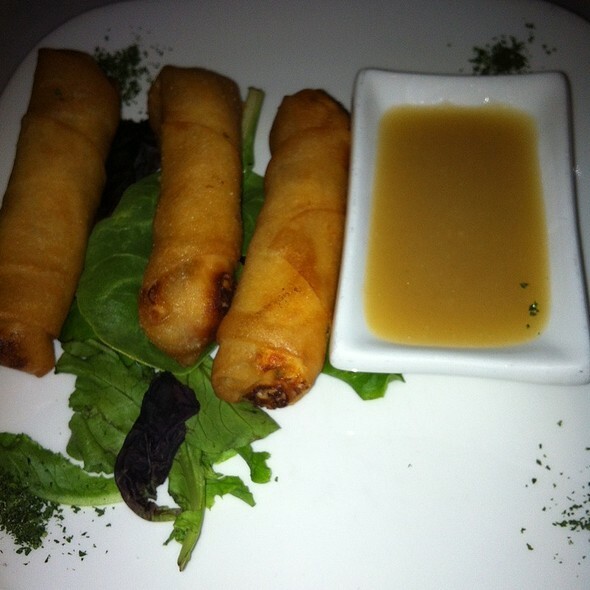 (very knowledgeable about the menu, very efficient, very personable). Her pleasant manner made our dining experience more memorable. Another great meal here. I had the sea bass it was perfect. It was huge and fresh and delicious. Always a fabulous dinner with great service. There were 10 in our party. Our server was courteous, friendly and well versed about the menu. 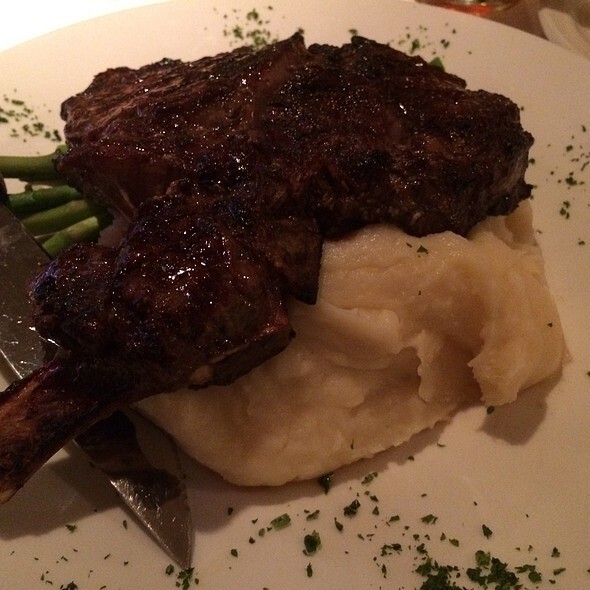 We had excellent service and the food was excellent. Everyone in our party was very happy with their menu choice. Bistro 821 was great for a dinner out. The food was delicious especially the sea bass and lobster tail. Our server Mark was incredibly nice and attentive. Highly recommend. Excellent atmosphere and food. We waited to get a table outside and I’m so glad that we did, it was fabulous! We were celebrating two 50th Birthdays and the staff made it special with Happy Birthday confetti on our table and wonderful birthday desserts. By far, our fav restaurant in Napkes! Don’t change anything! The food and service were outstanding as always however we were a little disappointed in our table location. Booking our reservation online at least 2 weeks in advance and celebrating a birthday I would have hoped for a table not in the back corner. That being said, there are no complains as to the value, taste and service we received. Bistro 821 is still one of our most favorite restaurants on 5th Ave.
Service was outstanding and the Sea Bass entree was spectacular.... melted in your mouth. Rack of lamb was cooked perfectly and flavorful. Great place to dine... GO. It's all about the food, which is consistantly outstanding. Service, and location are also great. Have gone back many times, and will continue to do so. As always, a great place to celebrate our birthdays!! Thank you to our server, John. We had a fabulous meal here. The server was excellent and of course we sat outside at the perfect table. Wil Be coming back for sure! We had a great last night dinner in Florida on Sunday evening before we had to go home. We both had salads - my husband had the spinach salad and I had the market bistro salad, which was delicious. My husband had chicken and I had the snapper which was delicious! We were too full for dessert, but will definitely be coming back here the next time we return to Naples. 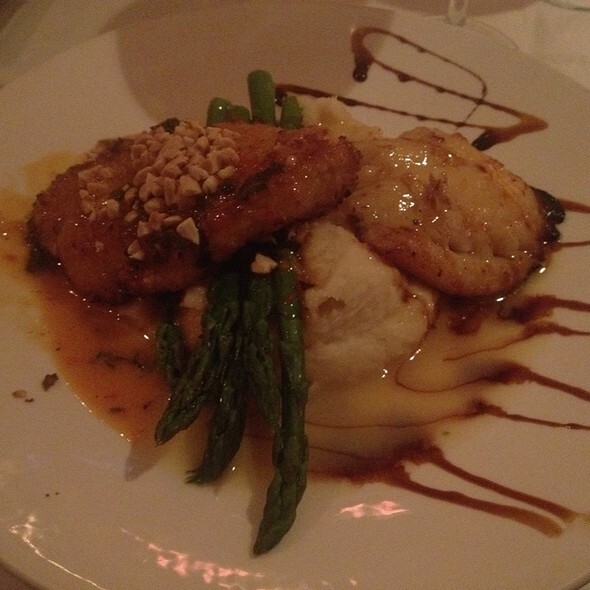 We have been to Bistro 821 several times in the past years, but had not been this season. We were very disappointed in our meal and felt it was not up to the standards of the past. Will probably not go back. We were greeted by a lovely hostess who took us right to our table and seated us next to each other. This is a request that I make because I can't hear out of 1 ear and some restaurants ignore the request but not this one! It was a joy to be able to hear my spouse during dinner. The server, John was amazing, cheery and made us feel right at home. He explained the menu and specials and gave us time to think of a selection. My lobster was succulent, cooked perfectly and delicious. My husband's large steak was also cooked as requested and quite tasty. I would like to commend John, as he made our evening special. Absolutely our favorite restaurant. 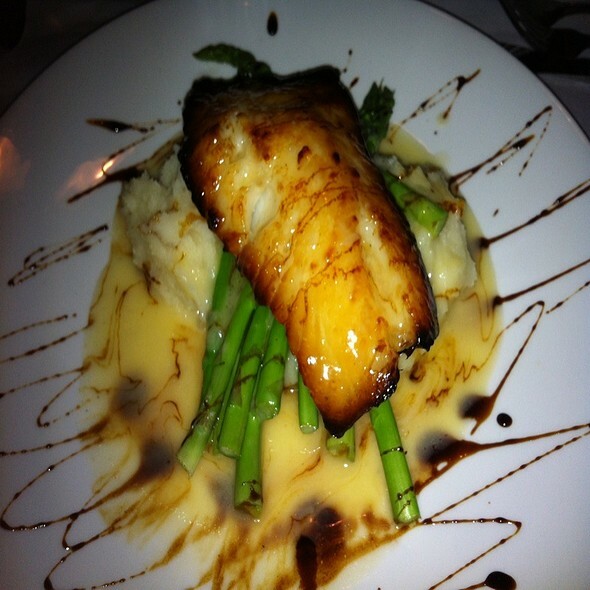 The sea bass is unbelievable!! Great food and service. They really pack you in during season. We made friends with the people sitting next to us because they were practically at our table. Bistro is better during the off season. Brandon was our server and was fabulous. My only concern is teaching your staff that if a patron says they have severe FISH allergies and asked for broccoli cheddar soup and the server bring you a cup of an alternative because there was no broccoli soup - they bring Manhattan Clam Chowder - they have not been taught the severity of that substitution. No giant means no fish. Otherwise - Brandon did more than he had to to make up for that mistake. I was not there to teach but I kindly did. I did have my EPI pen had there been an issue. The food was fabulous as usual - I wish there was a boneless chicken meal similar to the sole preparation. The potato/carrot whip with broccoli with a chicken piccata would have been a nice alternative. Thank you for remaining a constant positive experience on 5th! As always, we had a delicious dinner with excellent service! Young man was exceptional serving our table of 9! We frequently go to Bistro 821. We find the service to be superb, the food served piping hot and delicious. The use of runners to deliver the food straight from the kitchen to the table is really brilliant. That practice insures that the food is served hot and its peak flavor. We last ate at Bistro 821 Tuesday, April 2, 2019. Prior to that, we ate there one week earlier. Our servers were on the ball and extremely attentive to our table and our needs. I Strongly recommend this restaurant. Have been here quite a lot over the years and the food is always very good. The pork tenderloin was excellent. Salmon alfredo was just okay. 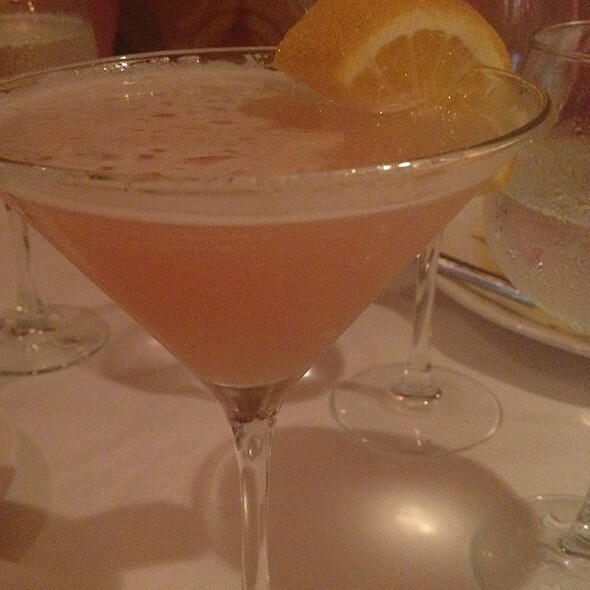 I make it a point to go to Bistro 821 with my friends when in Naples. 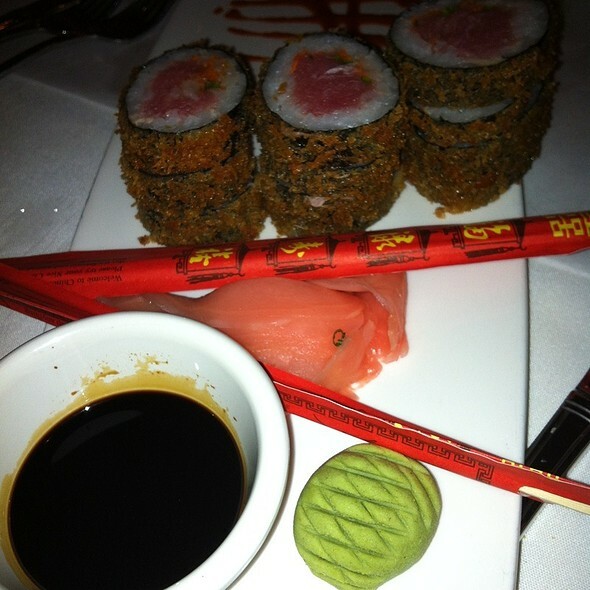 The food and service are always impeccable. It never disappoints! I highly recommend the whole experience at Bistro. Food and service impeccable. Not a quiet, intimate spot, but a conversation was easy to hold. Recommended highly. The food was excellent along with the service. The only negative was the seating arrangements. Tables are too close to each other.